Home » Why Hire A Landscaping Company? Home » Landscaping » Why Hire A Landscaping Company? Why Hire A Landscaping Company? Comments Off on Why Hire A Landscaping Company? Planting trees, shrubs, or flowers on your property can be a great way to not only enhance your property’s appearance but also enjoy the outdoors while getting some exercise. 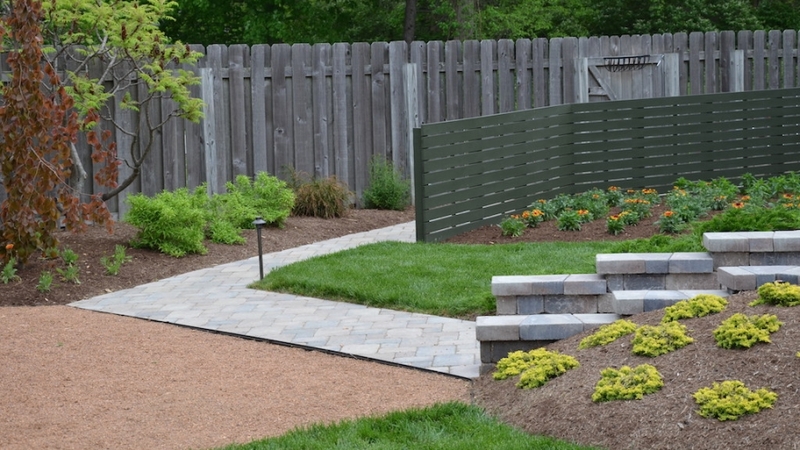 As a professional Landscaping Company, we’ve met with thousands of property owners that have a varying degree of interest, motivation, confidence, and desire to install their own landscape plantings. It’s possible to pull off these planting tasks yourself with the right tools, know-how, and time, but many people underestimate the value or reasons they should consider leaving this work to a Landscaping Company. 1) Plant Choice: You may find a cute little plant with a dazzling attached picture but you may be missing a better choice. Nurseries can’t carry every species. They have limited space and specialize in certain types. You may find a species or cultivar of Boxwood (for example) that looks great in person, but there may be an even better variety at the nursery on the other side of the county that fares better against a specific disease, or handles winter wind better. But how would you know? You’re not the expert. You trust the nursery has what you need. In fact, the Boxwood they carry may be a good variety, but it may not be the best for the specific spot you need it on your property. This is why using a landscaping company with expert staff can make sure that the best plant is chosen for many happy years at your property. 2) Specimen Selection: Even when finding the perfect plant species and cultivar, it’s important to find the best quality for your money. What may appear like a decent specimen to you may hide signs of poor structure,girdling roots, or insect and disease problems. When a purchaser from a landscaping company visits plant wholesalers, they often pick individual plants for jobs the landscaper is performing. They may notice issues with a specific Maple tree (for example) and elect the one beside it instead. These issues could impact plant health significantly and even reduce the plant’s life expectancy. Using a landscaping Company to choose your plants can save you lots of future aggravation and help your property to look even better. 3) Proper Planting Practices: Planting trees, shrubs, etc. isn’t as simple as digging a hole, stuffing a plant in it, and back-filling it. Improper planting is one of the top reasons plants die. Plant fatality can not only happen in the first year, but even decades later. You may have planted your White Pine (for example) beautifully in your understanding ten years ago. Give it a decade planted 5″ too deeply, and it could start to fail. Using a landscaping company that trains their staff to be landscaping experts that use best practices, can insure that your plants have a shot at a healthy life. 4) Time Constraints: Even if you enjoy spending your weekend digging holes and properly planted shrubs, trees, and flowers, these tasks typically end up eating up more time than most people expect. Obviously it costs more money to hire a landscape contractor to install these items on your property, but they may be able to do it in a fraction of time it takes you. You may have thought the 20 flats of Petunias (for example) wouldn’t take long, but in reality it took up Saturday and 2 evenings the following week. A pro may have specialized equipment or tools that helps the job to go more quickly or a crew of workers that can turn a multiple-day job into something completed by the time you come home from work. Consider what your time is worth to you. 5) Guarantee: Many landscaping companies offer guarantees on installed plantings. They know a healthy specimen of the right variety was chosen. They know the plant was properly installed. So long as you water plantings correctly, it may be worth spending a little more to hire a landscape contractor to plant trees, shrubs, or flowers. Paying for the job done once may be cheaper than you buying a second large Hinoki Cypress (for example) for another couple hundred bucks, and may save you a lot of aggravation down the line.